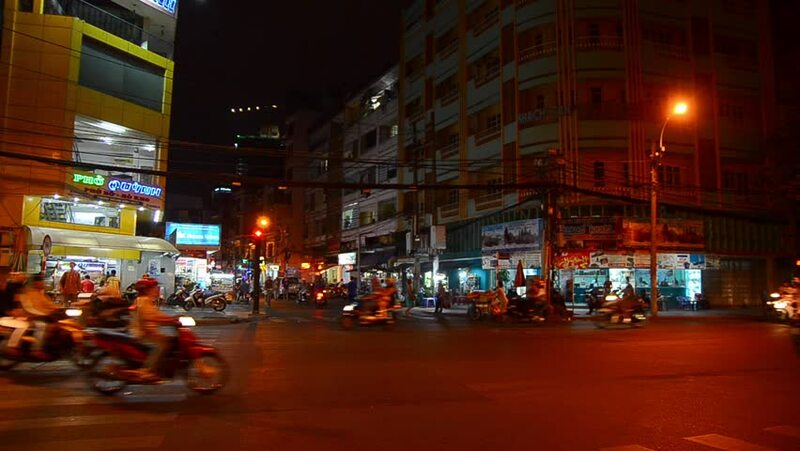 HO CHI MINH CITY, VIETNAM - FEBRUARY 23, 2013: View of Pham Ngu Lao Street at night. It is the heart of backpacking tourist area of the city. hd00:10BANGKOK - JAN 29: Traffic light countdown at intersection on January 29, 2012 in Bangkok, Thailand. The countdown system has reduced accidents on the road in the capital Bangkok. hd00:13Bangkok, Thailand - November 4, 2016: Bangkok on November 4, 2016. Car and people are commuting in front of Terminal 21 Department store, Bangkok.